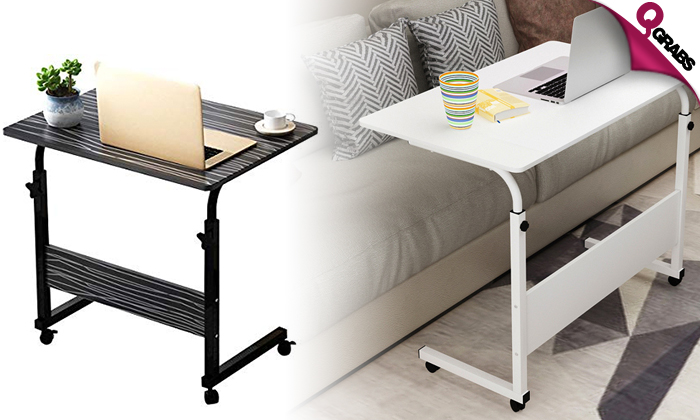 It could be used as a computer or laptop stand riser because of its height adjustable performance. Has 4 lockable casters on the base so it is easy to move around and rotate as you wish and stand stable when using it. Solid enough to support laptops, PC tablet, ipad, recorder, books, etc, just like a tray table. Perfect for both adults and kids to use in any ways you want for your home and office, especially side of the sofa and bed. Easy to assemble and fillet designed. Convenient for you to eating food, reading, study, and surfing and doing many entertainment activities. Study, eat or work in peace with up to 50% off!